You lived your life to the fullest, but now you're ready to retire and you haven't saved. 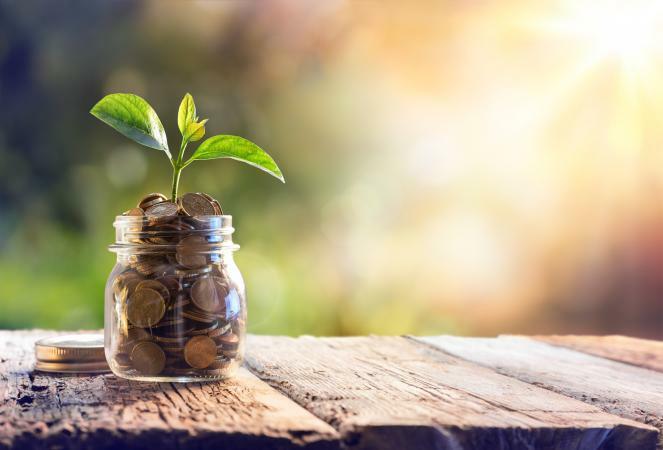 While retiring with no money might not be the most optimal situation, there are solutions for how to survive retirement with little to no money. Learn the tips and tricks for living your golden years to the fullest on a budget. Housing can be one of your biggest expenses. Renting, paying off a mortgage, or paying for upkeep and taxes on a property you own can deplete your finances in a hurry. If you own your home or your landlord will allow it, consider bringing in a roommate, whether it's a single renter residing in a section of the house or a couple to share your space with. This can be a big change to your current way of life, but you will instantly cut many of your bills in half. Approach your friends and family members and let them know of your situation. See if any of them are interested in moving in, or if they can refer you to someone that they know well who is in a similar situation as you are. Then, set some terms up front one you have a potential roomie. Consider what you offer. Look at your home from the perspective of a roommate and see what you can offer to make it an attractive situation. Set boundaries. Know up front if you will accept pets, smoking, drinking, and more. Stay safe. Make sure that whoever you are considering opening your door to is someone you know and trust. Make sure that you discuss all the costs associated with housing and consider creating a rental agreement even if your renter is a family member. If you're a renter yourself and the landlord has agreed to your request to add a roommate, your landlord will require that the new member of your household add his or her name to the lease. This is another option for home owners. Reverse mortgages have attracted a lot of attention, both positive and negative, in recent years. Over time there has been more regulation, and the product has changed significantly, becoming more attractive to some retirees. A reverse mortgage uses a home equity conversion loan to provide older Americans with cash flow. You have to be 62 or older, own your home or have a low mortgage balance, be able to afford property taxes and home insurance, and live in the home. When the last remaining homeowner leaves the home permanently, through death or moving away, the home is sold to pay off the balance of the loan. If the home sale does not cover the full balance due, the bank pays the difference. If the home sale is more than the balance, you or your heirs keep the difference. Homeowners can expect to access between 50 to 75 percent of the home's value through a reverse mortgage, with a maximum of $625,500. You will want to shop around to get the best deal regarding fees, quality service, and interest rate. If you're interested in going this route, your first step is to find a reverse mortgage counselor who will explain the process and your options and help you with next steps. A reverse mortgage is not for everyone. In order to leave the home to your heirs, you or they would need to pay back the loan in some other way. In addition, if you plan to move during retirement, a reverse mortgage is not a good option because as soon as you leave the home, the loan balance is due. If you have little to no retirement savings, it may make sense to retire somewhere other than where you currently live. Many places within the U.S. are less expensive to live, and one of them could be a perfect place for you to retire. The Department of Housing and Urban Development (HUD) can provide assistance with finding low-cost housing options in any state, and can also assist with moving costs. Use their interactive map to find your local Public Housing Agency to speak with a representative and discuss your options. 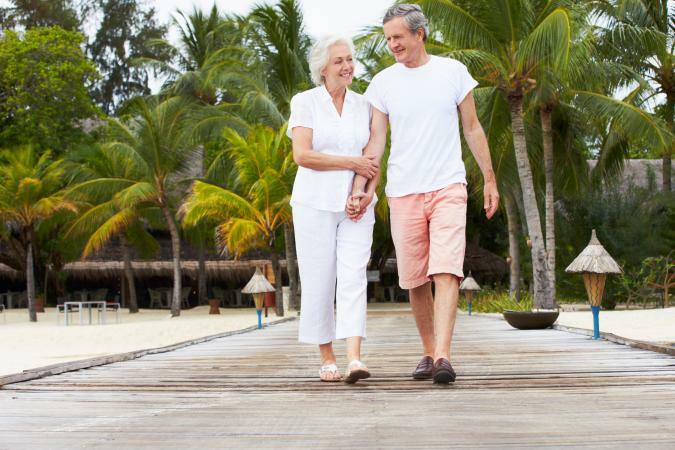 If you're looking for an exotic retirement experience, an option to consider is retiring abroad. This can give you the change you seek while stretching your budget. Reduce Your Cost of Living. Depending on the country, you can live comfortably in a beautiful destination for as little as $1,000 per month. Ecuador, Panama, and Thailand all offer this type of savings. Lower Medical Care Costs. You can receive excellent international medical care for half what you'd pay in the United States. First world hospitals, even in poorer countries, are often staffed by English-speaking professionals, many of whom were educated in the U.S.
You Can Afford Extras. Retiring in the United States often means cutting back on your expenses, but going overseas you'll find your money stretching to allow you to afford things like eating out more often. Spend some time to research your destinations. US News has a good list of potential locations based on monthly living costs. Keep in mind that Social Security will continue to pay to expats but not in all countries. You will need to consider your relocation costs (which can be as low as your plane ticket and some extra baggage) as well. To help offset your moving costs, look for a rental in your chosen destination that is furnished, then you can sell your own furniture before you leave. Of course there are always other bills and expenses to consider. Use some or all of these ideas to find new ways to avoid the drain on your bank account. If you have a passion or skills you're good at, working remotely occasionally or part-time can be a great option to help you top up your income doing something you enjoy. Contract work can be done when you have the time, and if you don't have your own internet connection, you can access these gigs through an internet cafe or your local library for free. Sites like FlexJobs and RetiredBrains can help you in your search. Look for something that you will enjoy doing while adding a bit to your pocketbook at the same time. Offer to clean the mirrors, do light dusting, or clean the floors once a week at your local hair salon in exchange for monthly haircuts or treatments. Volunteer at a small local farm (urban farms are becoming more popular, so these can be found even in cities) in exchange for fresh produce. Look for local food shares or co-ops, which offer free or deeply discounted groceries and household goods in exchange for time volunteering. Offer to walk your neighbor's dog or mow her lawn in exchange for a lift to the doctor's office. There are all kinds of possibilities for bartering, so keep this in mind when you need goods or services. Your offers likely won't be considered by large corporations or "big-box" stores, but small businesses and individuals may be delighted to barter with you. Watch your favorite TV show at a friend's house every week, then invite your friend to your home to play cards once a week. You'll be able to keep up with your show without having to keep your cable TV, and you'll both benefit from regular time spent together. Make a list of the tools and gadgets you own and ask your friends or neighbors to do the same. Exchange lists, and when someone needs a tool or gadget, they can borrow or swap instead of buying or renting. You might already be eligible for discounts and savings based on groups that you've belonged to, schools you've attended, and places you've worked in the past. Look into as many options as you can to find discounts and assistance. If you attended college or university, contact your alumni office to see if there are discounts available for things like insurance, healthcare/prescriptions, and even stores and restaurants. If you have ever been in the military, there are all kinds of benefits, services, and discounts available. Information can be found at official sites like Military OneSource, or find a local office through MilitaryINSTALLATIONS. Rewards clubs and points programs sometimes include special offers and discounts. Make sure that you're signed up for email newsletters or updates to stay informed on these. Your pharmacist or healthcare provider can help you figure out if you're eligible for extra coverage and health insurance. These can include subsidies, prescription plans, and other savings. Transportation can be another big expense that's tough to find savings on. There are some options for retirees who are looking for discounts here, however. If you own a car and are a good, safe driver, consider letting your insurance provider add a tracking device to your car. Depending on the provider, their terms, and how safely you drive, you can save a percentage on your insurance premiums. Discounts differ amongst insurers, but most claim that you can save up to 25 percent. Caveat: Make sure you're comfortable with the amount and type of information being collected before signing on for this type of program. Compare public transportation costs. Depending on where you live, there may be several options such as buses, light rail, subways, and more. Call or investigate your city's public transportation options online, paying special attention to the routes you would normally take for common destinations and the costs associated with these. If you don't have a car and public transportation isn't an option, uberPOOL can help you find others to share the cost of uberX rides. If you can't find your city available on the site, you can request to have it added. Obviously, it's best if you can save a significant amount of money for retirement, but it's not always possible. However, you can survive even if you retire broke. It takes some creativity and it may stretch your comfort zone, but options range from having roommates, to living overseas, to choosing a tiny home, and more. Whatever you choose, enjoy your retirement - you earned it!